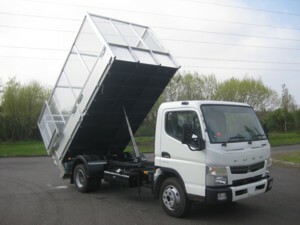 e-Van Transportation has partnered with an authorised waste collector in Dublin to offer licenced sofa disposal services in Dublin and parts of Wicklow, Kildare and Meath. 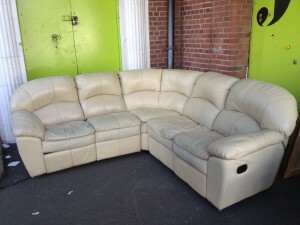 Need to dump old sofas, armchairs, futons or sofa-beds, we can arrange collection & disposal. Fully licenced by the NWCPO, our disposals partner holds a Waste Collection Permit (NWCPO-17-11904-01), which will be produced on request on the day of collection. Our service partner is fully insured and licenced to offer a sofa disposal service in Dublin and parts of the Greater Dublin Area, as well as disposal of many other types of waste. Under waste disposal legislation, it is illegal for a person to hand over waste* (including sofas) to anyone other than an authorised waste collector who is in possession of a valid waste collection permit. Failure to comply with this law can lead to heavy fines for both the owner of the waste and for a person collecting waste without a permit. Our waste collector does have a valid waste collection permit, which can be produced at the time of collection. *Any item you no longer want and wish to have collected, including sofas, is considered waste, regardless of its condition. The price we quote you for collections includes a disposal fee based on the average weight of the type of sofa/suite you are dumping and a call out charge from €40 to €70 depending on your location. There is an optional 2nd man available for an additional charge: this charge is €25 for most of the areas. All sofas are taken to an authorised recycling facility. To find out more about how and why the price for Legal Waste Collection are at the rates that they are, and why to beware of anyone collecting for rates that seem too good the be true, click here. If you need to dump old sofas and require a larger vehicle because you cannot fit these large pieces of furniture into your car, or because you don’t own a vehicle, e-Van Transportation offers the ideal solution for sofa disposal through our Dublin sofa disposals specialist.